Posted on August 1, 2011. Joseph grew up in Hebron Valley in the land of Canaan. He was not born there. Joseph was born in Haran about 350 miles north, as the crows fly, from Hebron Valley. He was a miracle child because his mother Rachel could not have children. Through much prayer she became pregnant and God allowed her to give birth to a son. She named him Joseph. At a young age Joseph’s father Jacob returned to the land of his fathers. Going south from Haran they traveled to Canaan. The journey was long and hard, especially for Joseph’s mother Rachel. She had miraculously become pregnant again and gave birth on the journey. The caravan paused near Bethlehem for this emergency. It turned into a tragedy. Rachel died after naming her new born son Benjamin. In modern Israel there is a monument named Rachel’s tomb at the grave site where Jacob had placed a stone. After this sad delay in the journey they went south to Hebron and settled in Hebron Valley. Hebron Valley is a shallow valley in the hill country of Canaan. It is about 3,000 feet above sea level and 4,300 feet above the Dead Sea that lies a few miles east of Hebron Valley. Joseph’s formative years were spent in Hebron Valley. The schooling that Joseph received was given to him in the home. Joseph had no Bible to study as we do. It had not been written yet. Moses started compiling the book that was destined to outlive heaven and earth around 1,500 BC. Joseph lived some 400 years earlier than that. Joseph, having no Bible got his spiritual training from his father Jacob. He learned well the principles that govern life. Abraham had taught them to Isaac, Isaac taught them to Jacob and Jacob taught them to Joseph. Abraham is the father of the faithful so the first principle is to be faithful to God. Joseph had ten older brothers that did the chores and tended the flocks of Jacob. Taking, care of the flocks meant finding grazing land to keep the herd healthy and strong. They had to roam throughout the country to find grazing land because they did not own enough land. There was open land in Canaan for this purpose. Time had swiftly passed and now Jacob’s son Joseph was seventeen years old and old enough to be a help to his father. Joseph, being next to the youngest and having been born in Jacob’s old age, became the boy Jacob loved more than his other children. This caused friction among the other children. Because of this love, Jacob gave to Joseph a coat of many colors. This did not help the matter but created more resentment. Joseph’s half-brothers were put in the position of shepherding their father’s flocks. They were the sons of his Father’s wives Leah, Bilhah and Zilpah. Joseph, being the good boy that he was, reported to his father some of the bad things his brothers were doing. The Bible does not record what they were doing but the brothers were angry at Joseph for telling on them. This happens in most families and we feel betrayed when a brother is a tattletale. The younger child has an advantage. They learn what not to do through their older brothers. Also Dad takes more time with the younger child because he is older and has more time for him. A man will always try to treat all his children the same but it doesn’t always work. The God who declared the end from the beginning, one night spoke to Joseph in a dream. Joseph was 17 years old when he had this dream and he was 39 years old when it was fulfilled. Many things happened during those years; things that would destroy a man of lesser quality than Joseph. Joseph’s faith in God changed him. Joseph’s brave trust in an invisible God carried him through the twenty-two years leading up to the fulfillment of his dream. I will tell you more about that later. In his dream Joseph beheld a field of grain cut down and ready to be bound into sheaves. At harvest time in the Bible the stock of wheat was first cut and bound into a bundle called a sheaf. The sheaves are stood up in the field in small groups for a time. From here the sheaves are taken to the threshing floor where they are beaten out and the grain separated from the stock. The grain is winnowed by tossing it up in the air. The heavier grain falls straight down and the chaff is blown away by the wind thus leaving the grain clean and ready sale or use. In his dream Joseph and his brothers were binding sheaves and standing them up. Joseph said his sheaf stood up and his brother’s sheaves all gathered around it and bowed low before it. The brothers couldn’t stand it. They got mad. The boy with the coat of many colors wanted to he their king. Being angry will always blind you to what God is trying to do. Later Joseph had another dream that he told to his brothers. He said: “I saw the sun, the moon and the eleven stars bow low before me.” This was like throwing gasoline on a fire. They blew up. They were outraged. They walked away in disgust. Next Joseph told this dream to his father also. His father rebuked him. “What are you saying? Will I and your mother and brothers bow low before you?” But Jacob pondered these things in his heart wondering what the meaning was. Grazing land in this area of the world is in the valleys that are high in the mountains. In this part of the world there is a rolling mountain range going north and south with pockets of valleys on it. Rain runs off the mountains quickly into these valleys creating the best grazing land in the valleys. People who live on the mountains terrace their land to catch the rain as it runs down the mountain. In the mountain valleys the water stays and lets things grow. Hebron is in one of these valleys. When your valley runs out of grazing area you must move the flock to the next patch. Jacob saw his grazing land had depleted so he told his sons to drive the flocks up north to Shechem valley where there was another area for grazing the flocks. After they had been gone for some days Jacob grew concerned about them. He sent Joseph to Shechem to ask about how they were getting along. Joseph went willingly at his father’s request to find his brothers. Joseph then continued his journey until he came to Dothan, which is 13 miles north of Shechem. The name Dothan means two wells. Dothan is a valley area among the hills also. To dig a well this high up on the mountain is risky. Water is not that plentiful at this level and it could also seep into an underground waterway in the mountain. Wells in this area could dry up quick and for a long time. 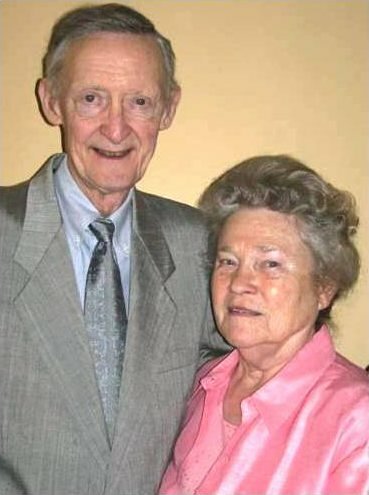 Joseph found his brothers in Dothan and eagerly approached them happy that he had found them. He had come a long way since he left home, roughly 45 miles. Now let me tell you about the conversation that was sparked among his brothers while Joseph was still a long way from them. They recognized him and his presence did not excite them, but to the contrary, his presence made them hateful. They said some things that revealed their thoughts about him. Whatever they were thinking and doing all changed when they saw Joseph coming toward them. They could have all had different thoughts, living in their own little world, but when they saw Joseph their thinking was united on one person. They did not like Joseph. They were so upset over his dreams. They said, “Here comes the dreamer.” And the coat of many colors he was wearing didn’t help either. In fact there was so much rage in their hearts they decided to kill him. That’s right. They decided to kill their own brother and they began planning how they were going to do it. They decided to kill him and toss him in a well. They would tell their Father a wild animal had killed and eaten him. There would be no evidence left thus no need to go looking for him. Then all his dreams could not come to pass because he would be dead. Since we know the end results of this decision we can see it was a decisive moment in history. Reuben, the oldest, was not in agreement with their plan and tried to devise a way to save Joseph. He wanted to keep than from shedding blood so he suggested that they just throw him in a pit and let him die on his own without touching him. Reuben’s motive was to come back later and take him home to his father. They did all this planning while Joseph was approaching them from a good way off. When Joseph walked into their presence expecting a friendly welcome, his whole world came apart in a moment of time. One or them reached out and ripped his coat off him. They then carried him to an empty well that had no water in it and threw him into it. Just like that. Just that quick. Wow! What in the world is going on here? After they threw him into the dry well they went back to the place where they left his coat in the camp and sat down to eat. Their hearts were so hardened they could sit down and eat as though everything was all right. Let me impress you with Joseph. He came to get a good report for his father and his whole world cane to an end. Life as he knew it would never be the same. What thoughts do you allow to come into your mind at a time like this? Where do you turn when you are all alone with no one on your side? It is at this time your spiritual instincts start to work. Immediately you trust in God. You set your mind. There is no other way. I repeat: There is no other way. Joseph had a brave trust in God. He waited to see what God was going to do. When you wait on God you renew your strength. Not knowing what was going to happen, Joseph sat down and waited on God. Back at the camp, the brothers confirmed their duties. Reuben went on about his business, because he was not there when this next thing happened. To the north appeared a camel caravan that was coming in their direction. Judah was the first to see it and called it to the attention of his brothers. It was decided that they were Ishmaelite traders taking gum, spices and herbs from Gilead to Egypt. The land of Gilead is on the east side of the Sea of Galilee and the Jordan River. After Judah saw the Ishmaelite traders he started to revise their plan. He said, “Let’s not kill Joseph but let’s sell him to these Ishmaelite traders as a slave. Then we will not be guilty of killing him and have that on our conscience. We will have him out of our lives without killing him. This seemed to be a better plan so all the brothers present agreed to it. They pulled Joseph out of the well and held him in waiting. When the camel caravan got to their vicinity they stopped the traders. They informed the traders they had a slave they wanted to sell and then showed Joseph to them. He was a handsome, young, strong farm boy and should bring a good price in Egypt. They bargained with the traders and agreed to sell him for twenty pieces of silver. The deal was closed and the trader’s went on their way down to Egypt. As the traders left the brothers saw the anguish of Joseph’s soul, but did nothing. Reuben, who was away when the traders came by, returned to get Joseph out or the pit and Joseph was not there. Reuben pulled at his clothes in anguish and frustration. “The child is gone. What shall I do?” he said weeping. “I am the oldest and responsible to our father for him.” The brothers did not respond to Reuben. Instead they killed a goat and smeared the blood all over Joseph’s coat causing it to appear as if a wild animal had killed and eaten Joseph. They then took the coat to their father for him to identify. They told their father they had found it in a field and wanted to know if it was Joseph’s coat. Jacob recognized it immediately. He broke into to tears saying. “Yes it is. A wild animal has eaten him. Joseph has been ripped to pieces.” After saying this Jacob tore off his garments and put on sackcloth and mourned for his son in very deep mourning. This was such a cruel thing for his sons to do to him. Jacob mourned for many weeks. His family all tried to comfort him, but it was no use. “I will die in mourning for by son,” he would say, and then break down and cry again. How cruel can you get? These brothers deceived their father and were unconcerned about his grieving. Think about what happened to Joseph at this time in his life. This seventeen year old boy approached his brothers expecting all to be well, when suddenly they grabbed him like he was their enemy, not a brother. They pulled off his brightly colored coat, which they resented. They took him a distance to where there was a well and cast him into it. This was a well with no water in it. Once Joseph was in the well everything got quiet and Joseph was left to his own thinking not knowing what to expect next. He had no idea what was going on outside the well. He did not know Reuben had tried to save him while his other brothers wanted to kill him. After being in the well for awhile he heard noises. His brothers came back to pull him out. He didn’t know why they were doing this but he soon found out. He was led toward a caravan of camels to be sold as slave to slave traders. To him it was mass confusion. One phrase that is brought out 22 years later in this story is: “Did not we see the anguish of his soul.” The seventeen year old Joseph at this time was in much anguish. It was horrible! He had no experience in life to relate to this. It was a brave trust in God that held him together. He just went through the motions. After being sold by his brothers to the slave traders there is a departing of Joseph from his brothers. Looking back at them saying: “please don’t do this to me”, is to no avail. The anguished Joseph is taken on a journey. He is taken away from a father who loved him much. He is taken away from a family that was his security, his home, his safety. Being jerked out of this is going from one extreme to the other. For a seventeen year old boy this was a drastic change in a short time. Take notice that there was one thing Joseph had going for him. That one thing was he knew God. When you know God on a personal basis you are never alone. Never! When you have a personal relationship with God and all hope is gone there is still a brave hope. And by instinct you will turn to Him for strength. Loving God will subdue fear and quiet your mind. Perfect love will cast out fear. There is nothing in existence that can extinguish, blow out, smother, or take away the love of God in your heart. Nothing can separate you from the love of God. This always has been and always will be. God is never absent. Joseph had no Bible to carry with him. The Bible was not written yet. He had only his personal knowledge and faith in God. 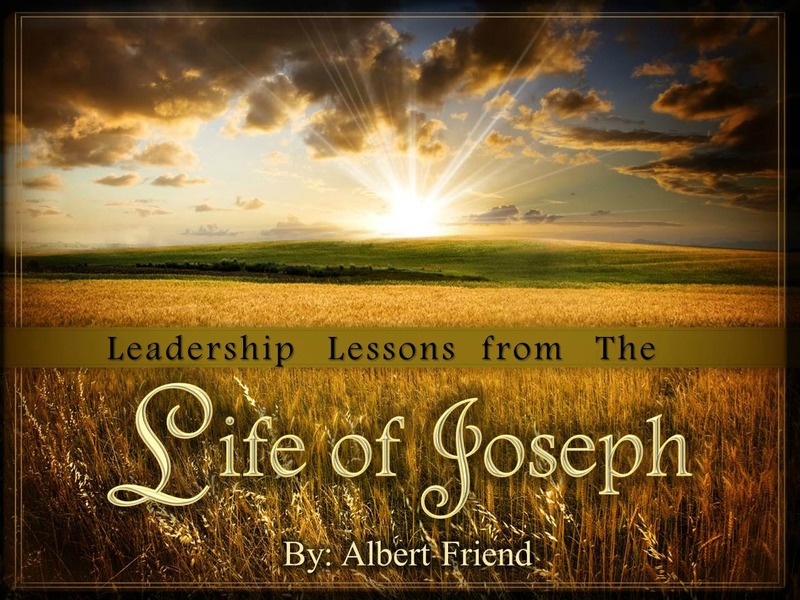 Joseph learned this from his father, his grandfather and his great-grandfather, Abraham, Isaac and Jacob. He learned what his brothers did not learn When he was learning how to love God his brothers were getting into trouble. Joseph saw in his father how a man should live and abided by his admonition. This was the thing that saved Joseph. He knew how to live despite the circumstances. He knew how to make the best of it. There is a word in the English language that will explain what I am trying to say. That word is “submit”. This means to turn loose, let go, surrender to God. Trust Him! This allows you to be compatible with God. This qualified Joseph for his next trial that was to be a lesson in life to him. Joseph’s certificate of credentials, his resume, is a wonderful document of qualifications to be read in the Bible. He was well qualified to work for God. Joseph understood that God had established a covenant with him that He would not break. This love covenant helped him to understand God’s love. The love God had for him helped him to trust God not knowing what would happen next. God had given Joseph some exceeding great and precious promises. He was to be part of the family that would inherit the land of Canaan. I compare this with Abraham believing God for a son for many years until it happened. When a man believes God, it is counted to him as righteousness. Not to believe God is a sin and is not righteousness. Joseph was a righteous man. Joseph took on the love nature of God. He shared this attitude with whomever he met. Love is the more excellent way. Faith works by love. Love never fails. Try it. Learn how to be compatible with God. You will love it. Joseph knew and believed the love God had for him. Joseph’s love for God brought God into action every time He knew God’s love to he merciful, gracious, longsuffering and abundant. Joseph’s habit was to submit to the Father of spirits and get strength to help in the time of need. Peace came to Joseph’s heart when he became compatible with God. Being compatible with God means doing things His way. God’s way is for us to submit to Him. When you try to do it your way you are out of harmony with your Maker. God’s way for Joseph was for Joseph to completely trust Him. God wanted Joseph to believe that He loved him enough that he could put his entire life into His trust. Everything! Now that is not the lazy man’s way. There is more work in the “work of faith” than if you do it alone. 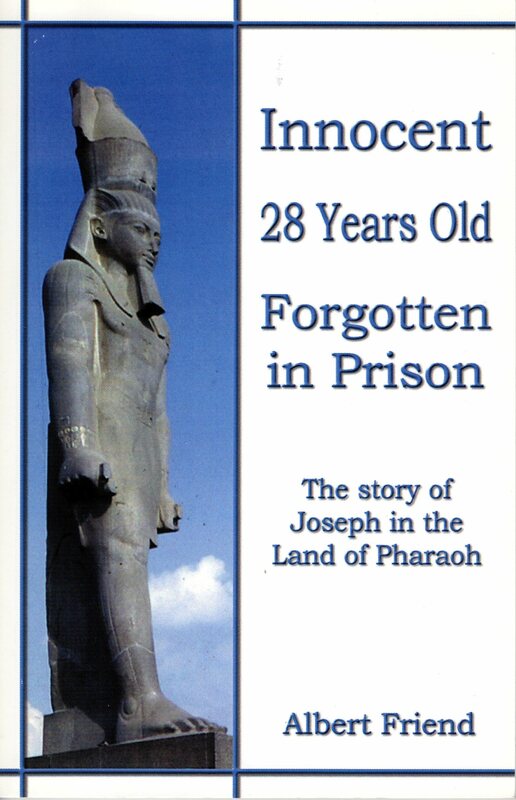 Joseph had to work the “work of faith” from the time he was sold as a slave until he arrived in Egypt. The key is to keep your mind on God. Trust Him. The peace of God is something we all need. The peace of God is in His love for us. He cares about us. Believe that. Feel it. The peace of God is a compatible trust in Him. Let God have His way. The peace of God is a shelter in the time of storm. Call on His name. It is a tower of safety. Peace is a gift from God. You must accept it as a gift or do without. Don’t try to work for it. Peace is received by obeying His word. Stare into the word. Become what you see. Peace can be held. Don’t lose your peace. Hold your peace. The peace of God is past understanding. Don’t question it. Don’t second guess it. Just believe it. 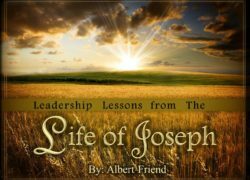 This article “Leadership Lessons from the Life of Joseph” by Albert Friend was excerpted from the book Innocent 28 Years Old Forgotten in Prison. Pg. 1-14. August 2011. It may be used for study & research purposes only.